This year’s Labour conference again reflected the process of transformation which has been taking place in the party since Jeremy Corbyn came to the leadership in 2015. The neo-liberal dogma of the ‘free market’ no longer dominates. Commitments to end austerity and to nationalise key services were re-emphasised. New policies such as increasing free child care availability and plans to create 400,000 jobs through investment in green energy will strike a chord with the vast majority of working-class people. Perhaps the policy which grabbed the most headlines was the proposal to compel large companies to give 10% of shares to the workforce and to allow employees to elect a third of board members. It is true that this would represent a radical shake-up in industrial relations and will be enthusiastically welcomed by many as a fairer deal for workers, giving them a voice in the upper echelons of companies. However, this policy falls far short of what is necessary. The vast bulk of the wealth created by workers and the control of that wealth will rest firmly in the hands of the bosses. It is the collective power of workers, organised through trade unions, which can most effectively assert their interests through collective bargaining and industrial action. And the trade union movement and Labour Party should demand democratic public ownership of the major corporations and key industries so they can be run in the interests of society as a whole, not profit for a few. 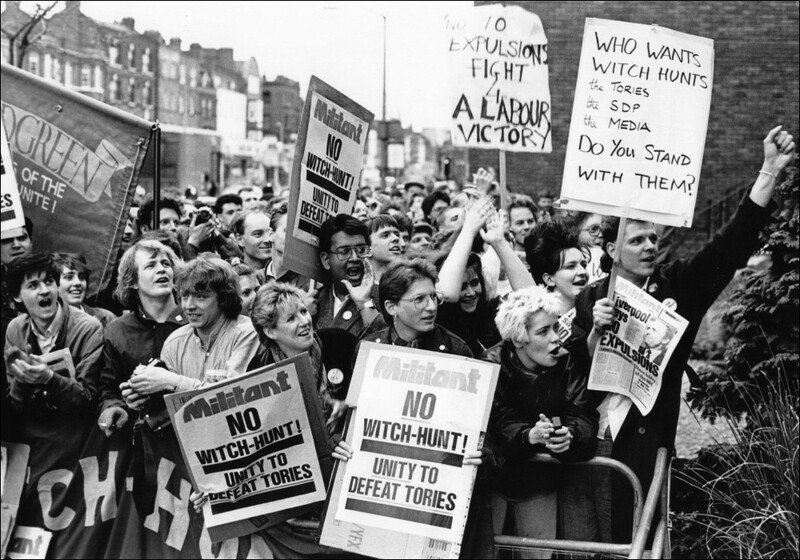 Drawing even more ire from the right and the pro-capitalist media, shadow equalities secretary Dawn Butler praised the role of the Liverpool Labour council which – under the leadership of supporters of Militant, the predecessor of the Socialist Party – took on Thatcher between 1983 and 1987. Refusing to implement cuts and instead mobilising the working class of the city to win concessions, the council was able to build thousands of high-quality houses, as well as sports centres, creches and so on. Contrast this to the role of Blairite-dominated Labour councils which have dutifully passed on Tory austerity, slashing jobs and services. Unfortunately, while committing to ending austerity once in office, Corbyn has not clearly called for Labour councils to emulate the tactics of the historic Liverpool battle. The recent anti-Semitism debacle saw the Blairite right within the party join with the pro-capitalist media and the Tories to engage in a campaign of slander and misinformation against Jeremy Corbyn and the left. This was just the latest outrageous example of their ongoing campaign to undermine Corbyn and ultimately remove him. They are neo-liberal ideologues and remain fundamentally and implacably opposed to the left-wing and anti-austerity policies now being put forward. Their have even been talks about refusing to back Corbyn for Prime Minister should Labour win a future general election. A proposal for open or mandatory selection of elections candidates was put forward to the conference, supported by a petition of 50,000 members and backed by many local parties. This would have ended sitting MPs’ almost automatic right to stand, instead allowing local members (membership has tripled to almost 600,000 under Corbyn’s leadership) to choose their candidate at each election. This would have allowed the Blairite cabal to be democratically removed and continued the process of rebuilding Labour as a party for the 99%. Unfortunately, this proposal was blocked by the leaderships of affiliated trade unions. It seems even the Unite leadership didn’t back the proposal, despite it being the union’s official policy. This reflects a desire to conciliate with the right, a desire even reflected in left campaign group Momentum. Ultimately, however, such attempts are doomed to failure. The two wings of the party – the pro-capitalist majority of MPs and the bureaucracy on one side, Corbyn and the mass of the membership of the other – ultimately cannot co-exist. Concessions to the right only embolden them and invite further attacks, as was evident during the anti-Semitism row. What is needed is a determined struggle for a thoroughly democratic, federal Labour Party, united around a bold socialist programme.